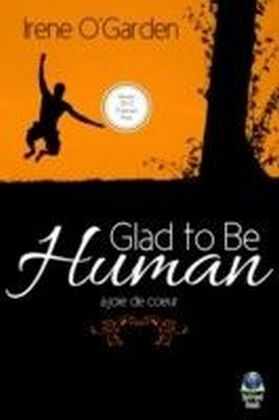 Winner of a 2012 Pushcart Prize, Glad To Be Human is a lyric and passionate outburst of appreciation for our lives in the 21st century. In rhythmic and sensual language this joie de couer returns us to the daily beauties and bounties of human life: its pleasures, its relationships, its diversity, its creativity and the poignant cycle of life itself. It is a rare and affirming piece of work that throws wide and loving arms around our world. From Elizabeth Gilbert, author of Eat, Pray, LoveFor many years now, the poet, playwright, and memoirist Irene O'Garden has been a hero to me. I think of her as a walking, writing, beam of light. It is my hope that with the release of 'Glad to be Human' numberless others will come to know her gifts and, most of all, her captivating talent for wonder and marvel.From Dan DiLucchio, CMC, Principal and Certified MasterThe Buddha's definition of enlightenment is to be awake. To be awake, one must live in the moment. Irene O'Garden's Glad to be Human is enlightened. It is awake. It is living in the moment. It helps us see ourselves as we really are, and lays the groundwork for us to truly appreciate the gift of life-a gift for which we should be glad.From Janet Pierson, Producer SXSW Film ConferenceGlad to be Human so that I can feel, see, commune and imagine... yes, all these experiences possible by reading this wonderful essay by Irene O'Garden. This essay is an immersion into what we relish, how we live, a kind of shining beacon that doesn't shy away from the tough stuff. It's a quick read but a powerful one. Highly recommended.